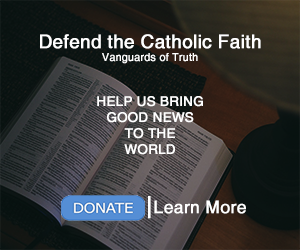 Defend the Catholic Faith | Vanguards of Truth SHOULD WE NOT GO TO MASS BECAUSE OF THE SINNERS? 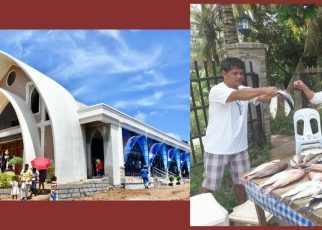 In a previous article by one of our fellow admins, he made a response to what Duterte said that instead of going to Mass inside our Church, we should rather build chapels and pray inside. Obviously, this does not make any sense since only in the Mass can we receive the real presence of Jesus Christ in the Holy Eucharist. However, some “Catholics” still could not understand the point that I make when I engaged in a discussion with them, and there were at least two objections that I wanted to give a response to from their point of view. 1. The priests are sinners; therefore we should not receive communion. I think that this excuse or reasoning backfires given that everyone is a sinner. Even Jesus knows it, and He wanted the believers to receive the Eucharist. However, they claim that the priests are so wrong and so evil. They also claim that the priests are leading divisions (even though truth divides). Unfortunately, this kind of mindset never entered the minds of the apostles especially Paul in his writings. In 1 Cor 11:18, it’s clear that there were people during the time of St. Paul that was leading the divisions. They were dividing the people, and this was already described by Paul in chapter 3 to be men of flesh because of jealousy and strife. If what they were saying was true, Paul should have told the Christians not to partake in communion because the people inside the Church at that time were sinners. However, the opposite took place as seen in verse 33. So, even if there were sinners, Paul still invited the Christians to come together to eat, a reference to eating the body of Christ in the Eucharist. He did not say that since there were people leading division; therefore, they should not eat. That kind of excuse is unbiblical and anti-biblical. Even in the same chapter, Paul gave a warning to people who receive the body and blood of Christ unworthily. In verse 27 of the same chapter, Paul said that those who received the body and blood of Christ unworthily is guilty of profaning the body and blood of Christ. Therefore, it’s a mortal sin, and how much more will be the case for those who refused to receive Christ. 2. Because the priests are sinners; therefore, the bread does not become the body of Christ. It’s unfortunate that even Catholics believe such things just to justify the statement of Duterte. As I repeat what I said before, no consistent Duterte defender can be a consistent Christian. Actually, it’s a heresy for a Catholic to believe that the miracle of transubstantiation or the changing of the substance of bread to the real body of Christ, and if they claim to be a true Catholic, they should not believe so because of what the Catechism says . According to Catechism no. 1128, the sacraments work not based on the righteousness of the priest (which means that even if the priest is under mortal sin, Transubstantiation still takes place) and it is based on the work of Christ. 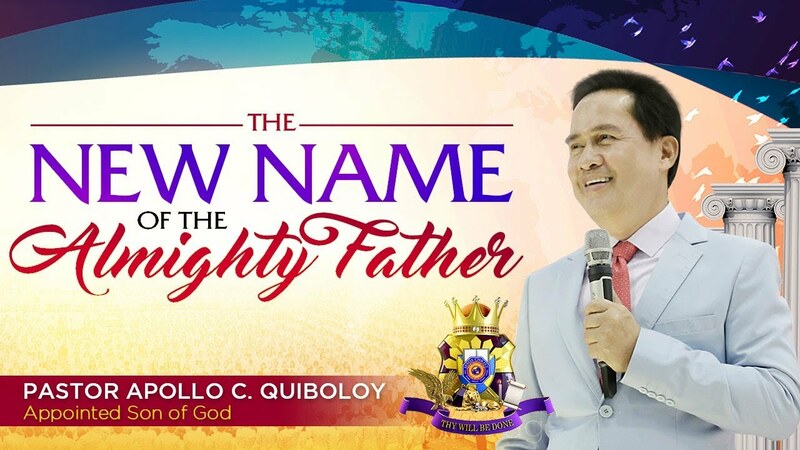 Even in the Bible, there are numerous examples when God used people in the state of mortal sin as instruments of miracles such as prophecy. In 1 Samuel 28, this is a woman who engaged with divination. In divination, the person is inviting evil spirits. However, in this passage, God used this opportunity to bring the soul (not of the evil) of Samuel. So, God used this woman who was under the state of mortal sin as an instrument. This example is also seen in Numbers 23. In 2 Peter 2:15, it’s clear that Balaam was someone who is definitely morally wrong. There is no question about that. Fortunately, in Numbers 23, God still used him to prophesy. So, in the eyes of God, it does not matter if those people are gravely wrong. They should not be as such like the priests who should always strive holiness, but the point is that God is not limited by these individuals. God still uses them as instruments because it is Him who does the miracles. This is the reason why we can trust in the Bible even if these were written by the worst sinners. And, if that is the case, then we should always trust God and not limit Him by claiming that God is incapable of performing the miracle when He said, “This is My Body” because God is God.